The scope of work began with the total demolition of the building interior that consisted of approximately 32,000 square feet of usable space. 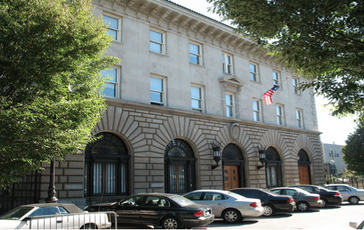 Construction included complete interior rehabilitation and restoration with focus on user friendliness and to meet the growing needs of the New York City Police Department. The entire new interior was reconstructed as a period piece, to simulate the original design of 1912 yet incorporated the modern functional tools required today. The entire building exterior was restored as per Landmark Preservation Commission requirements that consisted of complete exterior brickwork and cornice restoration. Estimated value of the exterior work alone was approximately one million dollars. Further requirements of the project scope included the installation of new Mechanical, Electrical and Plumbing systems throughout the entire building. The completed building’s intended use was as a Borough Command that condensed four facilities into one main building for required operations.